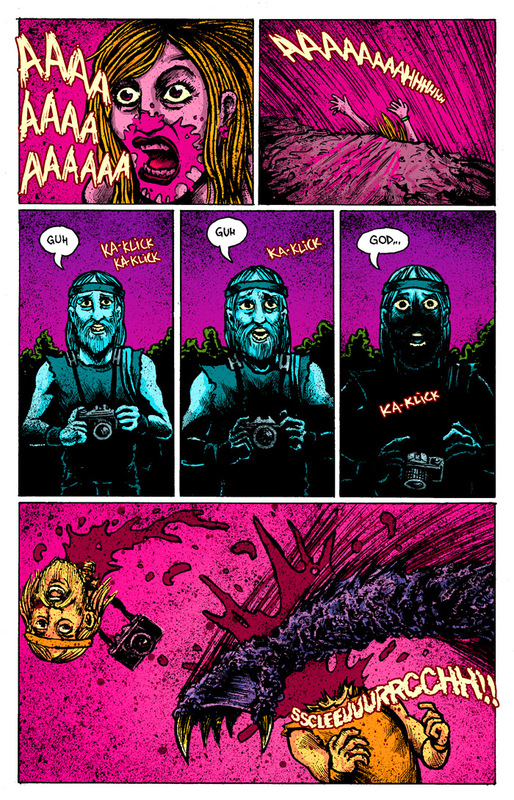 Here’s another preview of The Lake Erie Monster #1, with pages 3-5. You can check out pages 1 and 2 HERE. The Lake Erie Monster #1 is available online in the Shiner Comics Store, and in the select retail stores in the greater Cleveland area we have listed on the Buy The Comic page here on the site. 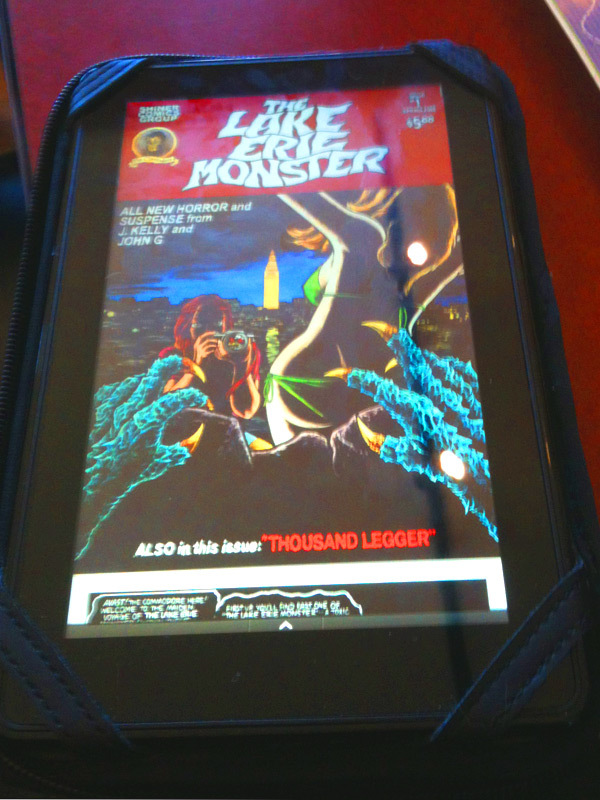 Here’s a quick shot of the text of the digital version of The Lake Erie Monster #1 digital version on a Kindle Fire, which we’re still working on but should be available soon!